Silver, 9.3gm, Ring size 8, carnelian intaglio 18mm/14mm (minor crack at 6-7 o'clock), long hunched-shoulder type. 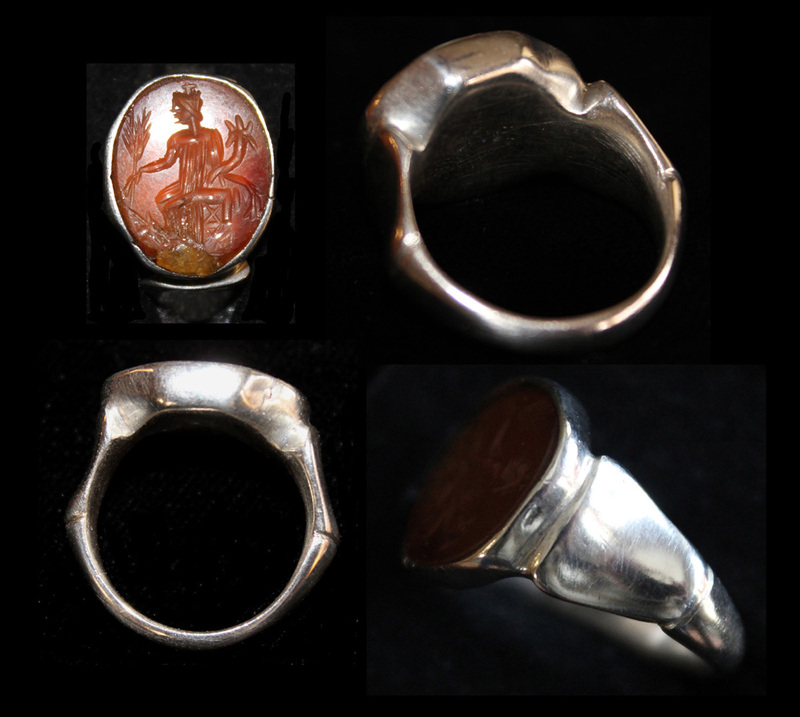 Ground-found in the Balkans, this ring may or may not have been made in the Balkans, but the carnelian intaglio of Fortuna (seated left, holding wheat ear and cornucopia, rudder berore) is certainly in a Roman Provincial style. Fully restored to 'as new' condition by a master sliver smith (not us), this ring is now simply exquiste. Be sure to click the 'images tab' for the before 'as received' ring and to see Sheri modeling it on her finger.